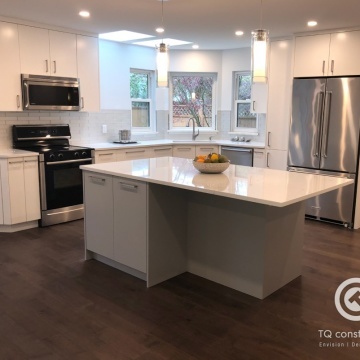 TQ Construction is a professional home renovation company with a 35-year tradition of excellence in BC’s home improvement, renovation and construction industry. TQ stands for Top Quality. 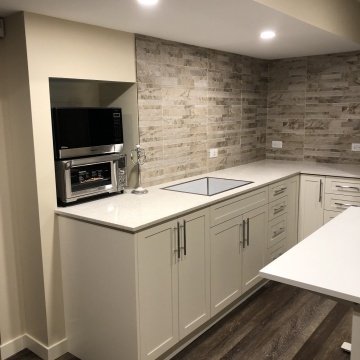 We are a complete service design/build team that includes engineers, designers, carpenters project managers and office staff who strive for exceptional quality in every renovation that we do. That’s why you can confidently trust TQ to deliver superior value and results, professional and personal service, as well as innovative livability and sustainability solutions for your home. Construction site management and supervision. The project, although challenging construction wise, went very smoothly due to the expertise and professionalism of the site supervisor. Very professional and ethical company. TQ is responsive and address comments and resolve concerns we had in a timely fashion. James (Designer) is always on top of his game and gave us a lot of options for every issue we encounter and treat the project as his own. Aside from that, the TQ team also does a great job of keeping the project site as tidy as possible. Every person we encountered in site are insightful and passionate about what they do. TQ Construction had great quality workmanship, were punctual, courteous, and hardworking. All the subcontractors were hard working. I didn't find any of them taking time off. I don't even think they ate or took breaks. Overall they were very conscientious and did their work professionally. It was good work. Overall it has been a good experience. The people have been very good. 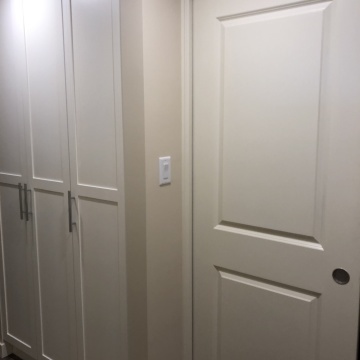 The construction team was fantastic and exceeded my expectations in how much they cared about the job and about meeting my expectations for the final outcome. Even my neighbours have commented to me that the construction crew does good work. My neighbours have also commented on how nice and friendly the TQ team have been since construction started on my home. Aaron has done a fantastic job at dealing with my anxieties through the various challenges that have cropped up in construction. He has also gone above and beyond in being available to answer my questions and concerns, even outside of his work day and working with my need to hear multiple opinions to make decisions and learn about and understand why things happen. Henri has also made efforts to check in with me on whether or not my cost concerns were addressed to my satisfaction, which I truly appreciated.If I could make one recommendation here, it would be to give the client clarity around who is responsible for which situations. Throughout the process, every TQ team member I met has indicated that they are available if there are problems. While this creates a supportive environment for the client as their project moves through the process, it also creates some confusion about who is responsible for resolving what issues when significant challenges arise and what the expectations should be on resolution times. I am impressed with how Aaron has dealt with me and my project. I feel that Aaron is always focused on doing the best thing for the project and meeting the client's expectations for the project outcome. He has walked me through the issues that have cropped up, given me options for dealing with cost concerns and figuratively talked me in off the ledge when I brought my fears over cost over-runs to his attention. The crew was very friendly and overall TQ worked toward resolutions for any issues. The crew was also relatively clean for the interior of the project. The design is great including a number of things i would never have thought. The knowledge of the TQ crew and their sub contractors as well as their skilled craftsmanship was awesome to behold. We had some pretty grand ideas but some could not be implemented mostly because of cost, configuration and sometimes local bylaws. The TQ team and subs were most knowledgeable and could put things into perspective and offer alternatives if applicable. From initial consultation to the final hand off, we had a great experience with TQ. We were most satisfied with their communication with clients and the way they take ownership of their work. Making clients happy was their first and foremost priority and it was apparent amongst all of their staff. Working with TQ Construction has been a great experience as they had a team of amazing professionals who are passionate about their work. We would definitely consider using them again in the future and would recommend them to friends. 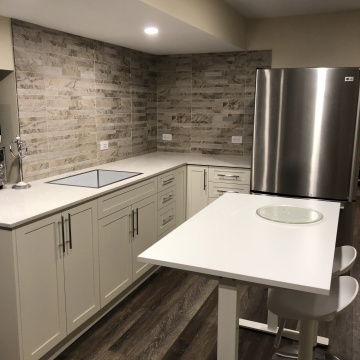 Overall I have come to appreciate the "Mission Statement" of TQ Construction, their "Envision, Design, Build" approach.It is thoughtful, organized and totally involves the client. The time spent through the first phase encourages the client to participate fully in the process and thereby develop a trust in the manager and designer. As the project enters the building phase there is a feeling of teamwork. By completion everyone feels a sense of pride and accomplishment. Throughout each project I have been impressed by the professionalism and thoughtfulness of the TQ team. Many times they have helped beyond the job description. The quality of the sub-trade teams has been excellent. I would not hesitate to call on them again or to recommend them. Everyone who has come to the house has been very professional and always willing to answer any questions.Patrick has been very good and I like the way he supports Jaime, it is reassuring that everyone is working toward the same goal, a pleasing outcome for the client. Jaime and Patrick were both very good and patient about addressing my questions and concerns. They are both very professional and very approachable when you have questions about anything. The quality of the sub-trade workers is also a plus with TQ. Their work is exceptional.This is my second experience with TQ Construction. I would not hesitate to call them again, to recommend them and I do not hesitate to tell people who I hired to work on my home. It was a positive experience. The process took a long time from start to finish, but the end result, which is what we have to live with, was a well-done job. In this case, the end justifies the means. The positive is what we will emphasize and won't dwell on the negatives. 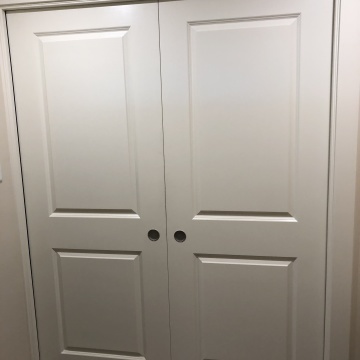 We knew going in that in hiring TQ we would be paying a premium to get superior service, and we feel that TQ delivered on our expectations.We are very happy with the workmanship and quality of the finished project. I'm quite happy with the construction phase so far. We're about half way through. The framing is almost done. The site supervisor is very communicative and I have no trouble getting feedback, suggestions and progress updates from him. At the Spring 2015 BC Home Show, my first impression was "Wow"! I was impressed by how many projects they had completed and the professionalism demonstrated. As we began the conversation to possibly start working with TQ, we met with Steve Holloway, Project Consultant. He was very accomodating and listened to our story. His personable approach was reassuring and we started to see that working with TQ could be a good fit for us. The decision to go ahead with TQ was the right choice where we chose to do the Envision, Design and Build. We met with Neda, Designer to work on the potential design of the project. The team meeting (where we met with Steve, Henri, Sam, Neda, and the President - Ralph Belisle) was the start of our relationship to Design and Build project. Throughout the project, it went smoothly. We were always updated by our wonderful Site Supervisor, Sam! The project was well excuted. We appreciated the continued contact with Kim with regards to the payment schedule. In the end, we were very happy with the end product. Thank you TQ Construction for your team work to make this dream a reality. With appreciation, The Milard Family. Our overall experience with TQ had been a positive one. All the staff and sub trades were professional and courteous. There were some delay and mistakes along the way but they were mostly promptly remedied. 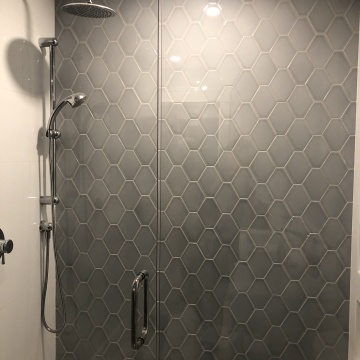 The designs and materials came together in the end and we were very pleased with our newly renovated bathrooms and kitchen. Our overall experience with TQ Construction was very positive. 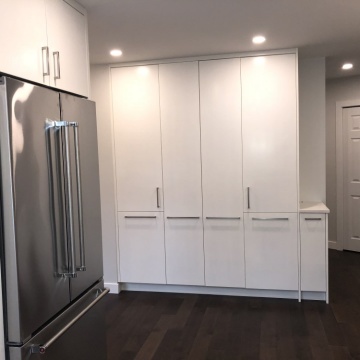 They were clear from the beginning that it would take time up front and material selections had to be completed well in advance of construction. Once construction commenced, they got right into the project and while there were a few delays here and there they were still able to stay within the timeline provided. 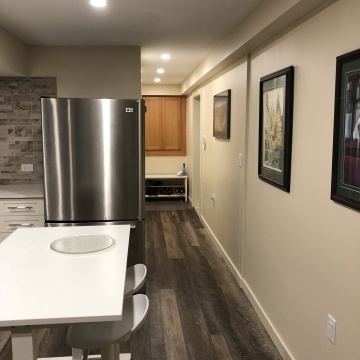 The employees of TQ who performed work at the house were always very kind and courteous and respectful that we were living through the construction, they went out of their way to make living during the renovation phase as easy a possible. Any times we had questions or concerns, they were addressed immediately and then taken care of right away. While there were a few minor issues along the way as listed above, the overall experience was a good one. We are very pleased with the final outcome of all the work that was done and enjoy the space every day. TQ is totally committed to customer satisfaction. 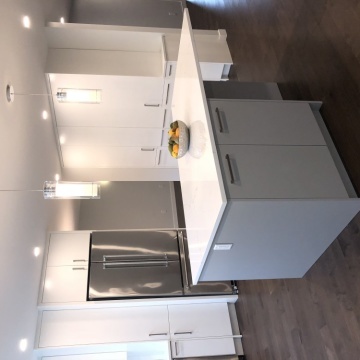 We had a significant renovation done in 2003 and by comparison TQ's professionalism and people made the experience an "order of magnitude" better! Constant communication; even with unexpected personal issues, time was given to deal with those issues before construction resumed. An outstanding job was done; my expectations did not fall short. 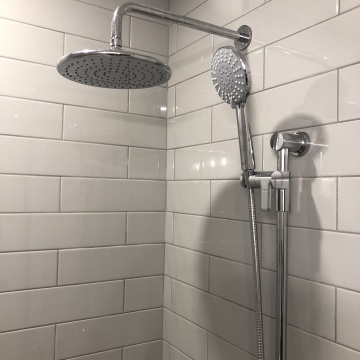 We were very happy with working with the designer, the sales representative, the site manager and have been happy with most of the sub contractors as well. We are satisfied with the quality of the results. There was an agreed number of renderings and drawings in the design phase, however as the project has progressed into the build phase and the details have been nailed down, additional updated drawings and renderings were provided at no additional cost. We appreciated Steve's meticulous note taking as he took pains to write down and keep track of our needs and wishes. All in all, everything was excellent. Pat was amazing, in every regard. He acts like an owner, and represents the company like he's family. Hope you treat him the same way ! Thank you for a level of excellence that exceeded all expectations ! 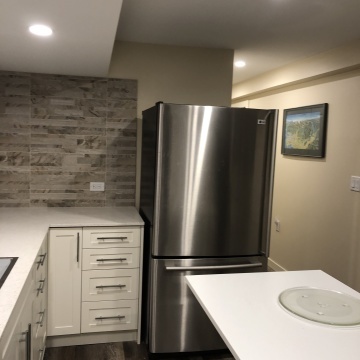 This was our first renovation and we feel very lucky that we made the right choice. Whatever glitches popped up along the way, TQ fixed them and whenever minor frustrations arose, TQ made sure we were satisfied with the solutions. The bottom line is that they kept their word and the final result exceeded our expectations. We were very happy to be able to work with people who have a sense of humour. TQ has been very professional and has delivered a great product. All of the staff have been friendly and supportive throughout the process. 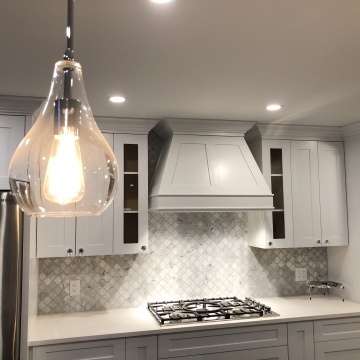 The project was completed on schedule and resulting work was as planned. Any problems or issues encountered were dealt with. The job supervisor (Dax) was excellent to work with and kept us well informed of activities and progress. Dax, the site supervisor, is excellent. He brought forward many ideas which we incorporated into the project. He asked us the right questions about the work which facilitated tuning the design before the work was done. It has been a pleasure working with him. All staff we met were excellent. Friendly and professional. Special note for Dax and Nick, they exceeded all expectations. TQ has a great group of skilled employees which makes them very good at what they do. We would certainly recommend TQ to others.